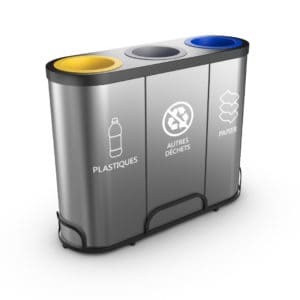 • Effortless Waste Recycling: The clear text and image informative banners make it easy to turn your disposables into recyclable waste. 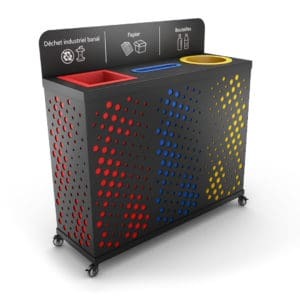 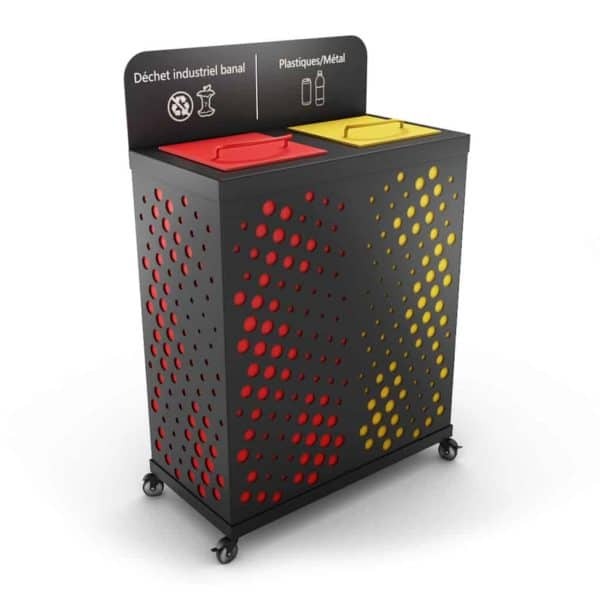 • Attractive Design & Sturdy: Made of high-quality sheet steel, this compact selective waste recycling bin is rust, shock, and dust resistant. 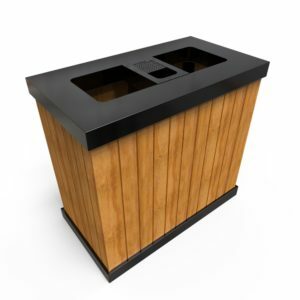 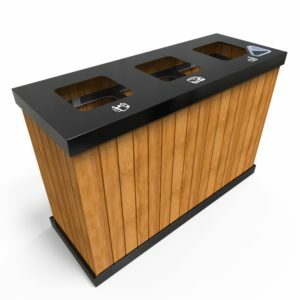 With an attractive design, this bin will elegantly complement any type of setting. 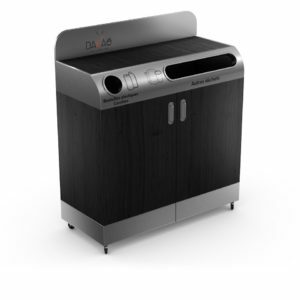 • Hygienic and Odor Free: Compact and easy to clean, this bin features a fill-level sensor that sends out automatic warnings when the compartments need to be emptied. 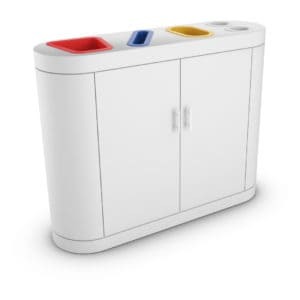 The 2 lid compartments ensure an odor free environment. 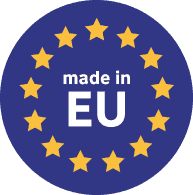 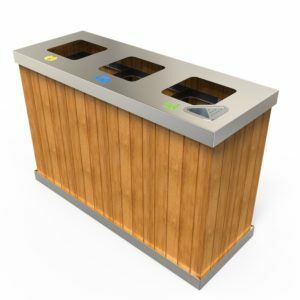 • Handy Remote Monitoring Technology: The Andromeda smart waste recycling bin can be conveniently monitored by simply using a smartphone or the online control panel. 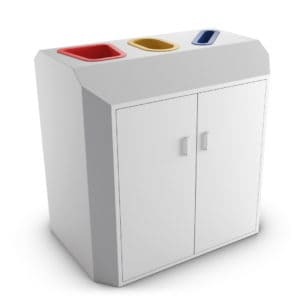 • Large Capacity: Available in various sizes and bucket colors, this bin is the ideal fit for public institutions, hotels, and other high traffic areas. 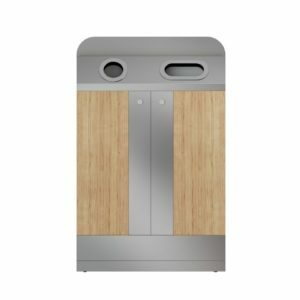 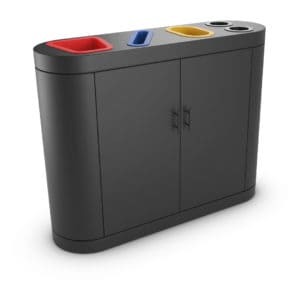 A convenient and efficient solution to your waste sorting and segregation needs, the Andromeda smart waste recycling bin provides both practical and aesthetic value to your space. 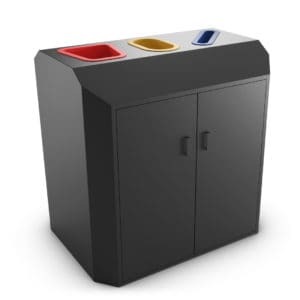 A high-quality product designed to last, this bin is a long-term investment that will allow you to keep your space neat and odorless. 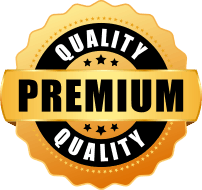 Excellence service we received from Urbaniere. 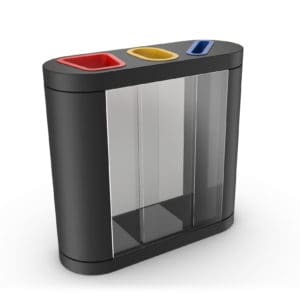 They were great from the start to finish. 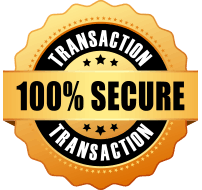 Very easy transaction.